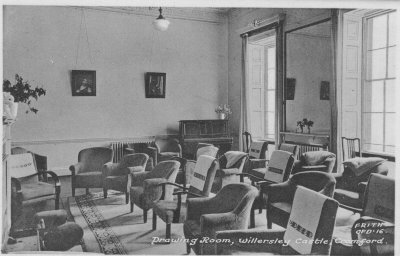 X358b: Drawing Room, Willersley Castle, Cromford. 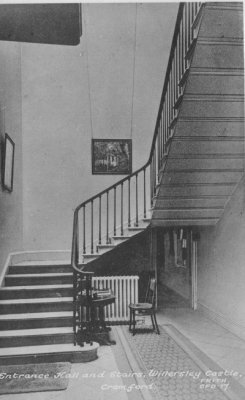 X358c: Entrance Hall and Stairs, Willersley Castle, Cromford. 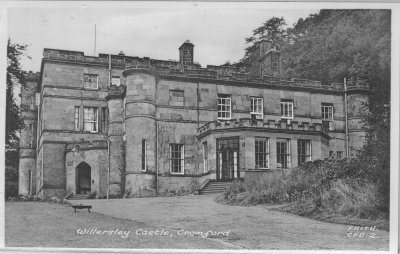 X358d: Common Room, Willersley Castle, Cromford. 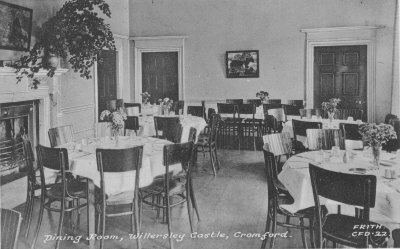 X358e: Dining Room, Willersley Castle, Cromford. Hi John - the picture of the exterior is pre the music room extension. 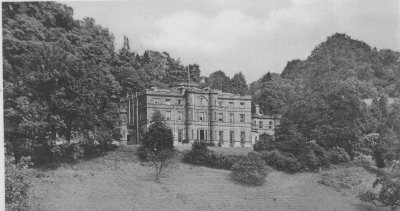 I'm sure this extension was done before 1930/31 so that would make the card 1929/30. The interior of the Music/Common Room looks like it is after the extension so mid 30s is probably more accurate. 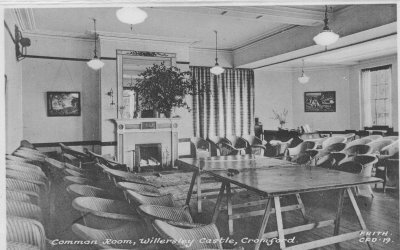 The Dining Room card shows the Adam Fireplace and original mahogany doors. I hope this is of some help to you.